SatNav Colour Screen. 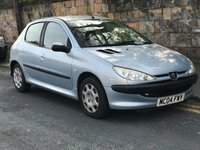 Here is a fabulous example of this highly practical and extremely spacious vehicle, with an official claimed fuel figure of close to 70mpg on a run! Reasonable insurance and low tax group, too. A powerful car, despite the great fuel economy. A very pleasing drive, and great specification, including Full Panoramic Roof, SatNav, Cruise Control, DAB Radio, Bluetooth Music, etc.. See the video at our Website. Call anytime for more info or to arrange an early viewing and test drive. Very competitive Zero-Deposit Finance packages available. Extended Warranties Available up to 3 years. Part Exchange available. 5 Day Drive-away Insurance available. Live walk-around video available. Nationwide Delivery available. More images at our Website. See our Autotrader and Google 5-Star reviews. Established 38 years. Call now to arrange an early viewing and test drive. 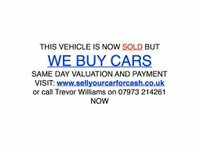 Tel: 07973 214261, to speak directly with our proprietor, Trevor Williams.